As with dental bridges, partial dentures replace missing teeth and maintain their natural spacing and occlusion. Partial dentures are usually used when multiple teeth have been lost, due to tooth decay or injury. There are different types of partials available to you. The traditional partial utilizes metal clasps to secure it in place. The precision partial has no clasps and is more cosmetic in nature. They are made with special crowns that eliminate the need for the metal attachment clasps and are more natural looking. 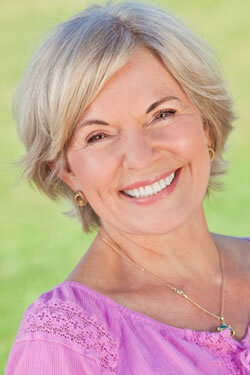 Unlike dental bridges, partial dentures are not permanently cemented and can be removed.